The “Agriturism Poggio delle Conche” is surrounded by olive groves. Grapes, after the picking, are transported to the “Cantina Cooperativa di Pitigliano” who then produces and sells the following wines: Bianco di Pitigliano DOC, Rosso Sovana DOC and other IGT products. 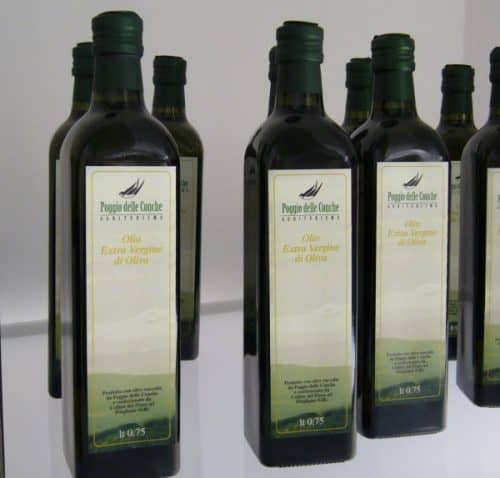 From 2006 the “Agriturism” bottles its own Extra Virgin Olive Oil which guests can buy directly on the farm.